This is a simple and fun little activity for parties, Sunday school, classrooms, homeschool, car trips and more! Find and count each image pictured then write the number on the line! Simply download and print! 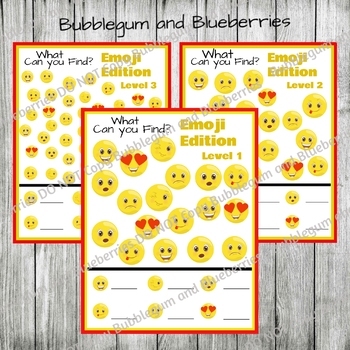 You could also laminate them and use with a dry erase marker or crayon to make the fun last longer! This set comes with 3 different levels, each level more difficult than the last. 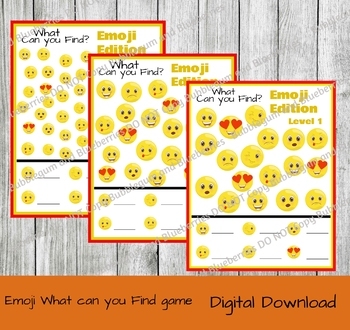 This is perfect if you have different ages in your group, or to up the challenge for your kiddo, each time they complete one level they can go to the next! 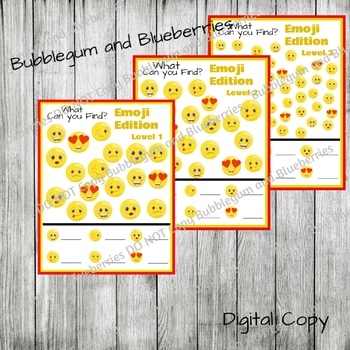 You will receive 3 JPG printables with this set. 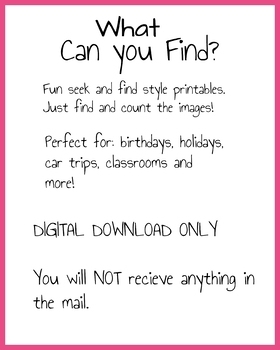 Simply download and print!